The relentless increase in data processing requirements, network/cloud services, computing and web bandwidth advances, and soon-to-be-seen products like automated/autonomous vehicles forces automation and those providers to remain on their toes. For example LIDAR, RADAR, and cameras are being brought together to enable fleets of autonomous vehicles to drive safely through a tangle of highways and streets. And of course, package shrink and cost reductions are always a requirement. 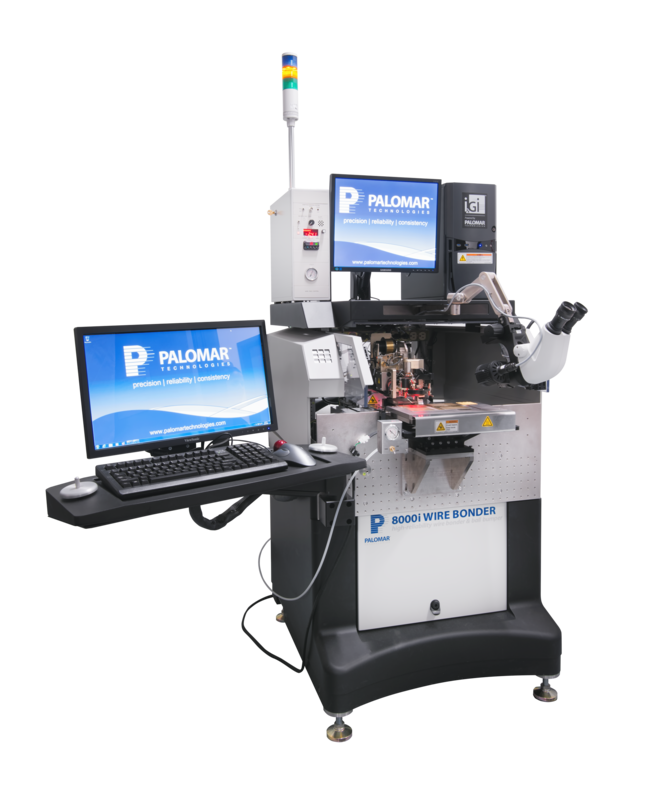 The challenge is constantly changing and increasing, and automated manufacturing equipment providers like Palomar Technologies are on the job. For component placement, we find microelectronics and optoelectronics merging more and more together. We now evoke synthetic models during vision processing to enable higher levels of lights-out production. Processors and ASICs are being bonded concurrent with lasers, photodiodes, and optical elements. While active alignment is a good solution for many optical devices, it is slow, very expensive, and very difficult with today’s materials. Passive alignment is a lower cost and faster solution, but not a perfect fit and not accurate enough for all optical trains. VisionPilot® can use single or traditional two-point referencing with any color waffle pack and components at any degree of rotation. More and more we are finding ways to use our 3880 Die Bonder to tackle most of these issues. With its 0.1 micron x/y positioning encoders, new complex vision algorithms like VisionPilot, and new in-sutu attach processes we can often find new methods to drive yields up with fully automatic processing. There is no room in the solution space for manual or even semi-automatic systems. 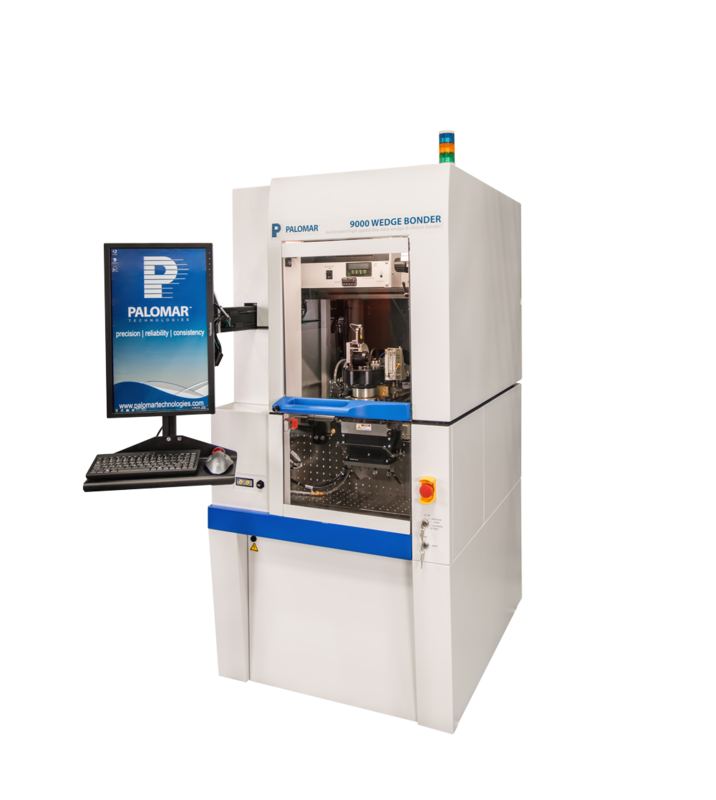 For the extreme final placement accuracy requirements of optoelectronic packaging, the 6500 Die Bonder is a production level solution. 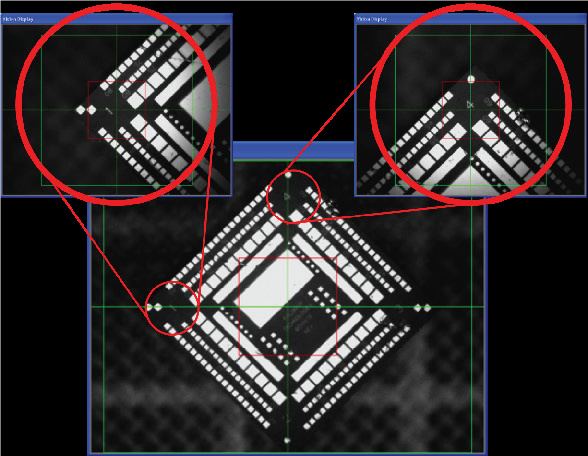 With its 1.5 micron, 3 sigma, final placement accuracy, many optoelectronic packaging challenges can be addressed. With this level of accuracy, some packages that were believed to require active alignment can be built with a passive process! In some cases, a process requires an almost perfect void-free component attach process. To accomplish this feat, we use the new and powerful SST Vacuum Reflow System’s 5100 Vacuum Pressure Furnace, with or without pressure or formic acid catalytic processes. With moisture and oxygen analyzers, rapid cooling systems, and more, large batch processes can challenge traditional inline automation providing superior thermal performance interfaces. Then, we must provide the first-level interconnect. This remains firmly entrenched in wire bonding (a few varieties). While disruptive technologies may someday step up with higher electrical performance methods, traditional wire bonding is here to stay. When we look to wire bonding we have ball bonding and wedge bonding. Before we developed a gold wire bonder that can produce ultra-high reliability wire bonds but also very planar gold ball bumps, we were very limited with our processes. We were required to always forward bond, and could not shrink packages by reverse bonding and bonding from component to component without using an interposer. Using a compound z-axis bond head, we can now produce flat topped bumps without coining. These bumps can be used for Stand-Off Stitch bonding, reverse ball bonding, or component to component bonds. Reliability of these interconnect are unrivaled. Mid-span break are expected in the vast majority of wires on our 8000i Wire Bonder, with a few breaks in the HAZ (Heat Affected Zone) just above the ball bond. No adhesion failures are found unless you are bonding to terrible materials, typically contaminated, or very unrepeatable. These are rare cases in today’s hybrid packaging. This first-level interconnect process has been around for many decades. Originally, it was used for finer pitch applications that the older ball bonders could not address. Today that challenge has changed as ball bonders can now get down to incredibly fine pitches, many sub-50 micron. While there is still a place for wedge bonding, it is much slower, generates a lower quality bond in most cases, and has a lower Process Capability (Cpk) than Au ball bonders. There are still two or three forcing functions that drive an application to wedge bonding. The oldest driver is aluminum wire. It is used for either cost considerations or ambient temperature bonding in packages that cannot survive at traditional elevated temperatures for gold wire. Au ball bonding at higher frequencies can do so today at ambient temperatures, so the temperature challenge is basically gone. Aluminum wire also does not cost that much less than gold wire, so that reason is less relevant than in decades past. 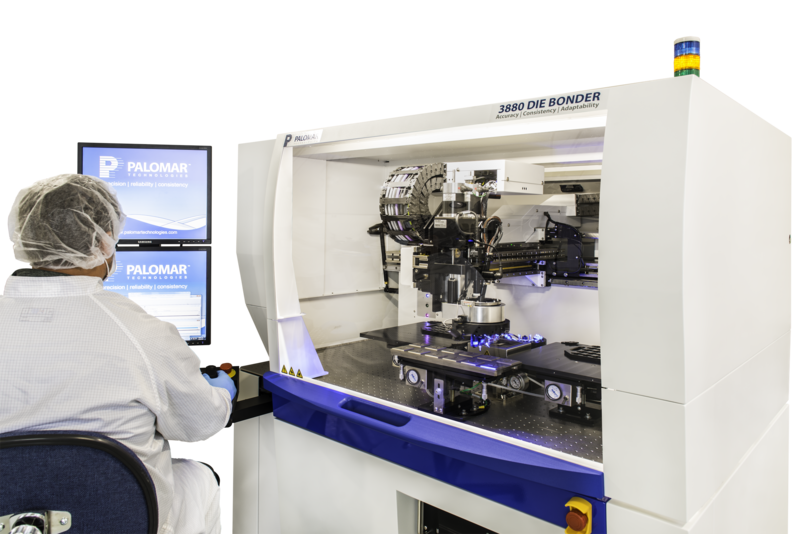 We are left with only one real challenge that only a wedge bonder can tackle–ribbon wire bonding! 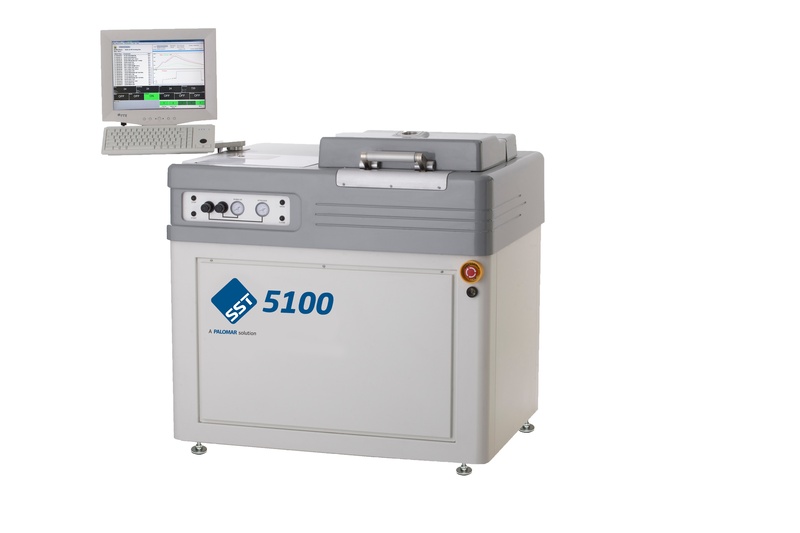 Both Au and Al ribbons can be used in high frequency/power applications on our 9000 Wedge Bonder. With its theta mechanism moving the automatic wire despoiler, little to no wire or ribbon sway can be measured. Ribbon wire applications are also driving to ultra-fine thickness–processes are now approaching 6 microns (0.25 mil)! We have a number of blogs and technical papers written on ribbon bonding if you are interested more in this topic. 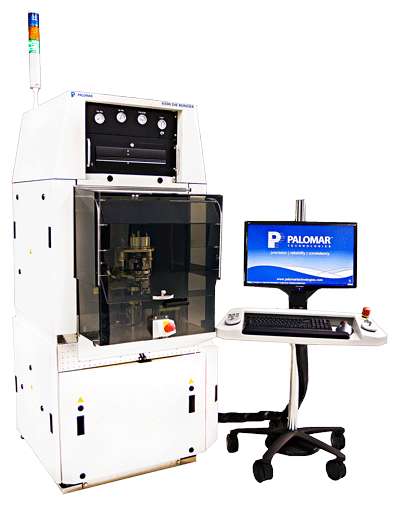 Addressing all these new challenges with new process solutions keep automated micro/optoelectronics manufacturing equipment manufacturers like Palomar Technologies very busy. Please let us know if you have any questions, or would like to discuss your specific packaging challenges.